DURHAM - Blue Devil Nation was on hand for the Blue Devils' first full contact practice last week and caught up with two of the Duke defensive linemen to discuss training camp and their expectations for 2011. It’s no secret that the Duke defense struggled mightily in 2010. Simply put, the Blue Devils were unable to stop opposing offenses, placing nearly impossible pressure on the offense and first-year starting QB Sean Renfree to outscore opponents. The experiment with a 3-4 defense was short-lived and essentially doomed the Blue Devil defense. Without a clear defensive scheme or identity, Duke’s defenders often appeared out of position or overmatched. On the whole, the effort was there, but the execution was inconsistent. Jim Knowles takes over as Defensive Coordinator in 2011, and Rick Petri joins the staff as Defensive Line coach. 2010 Review: Simply put, the Duke defensive line was unable to stop the run and failed to pressure opposing quarterbacks. After showing improvements between 2006 and 2008, the defensive line began a two-year slide in 2009. The line came up with just 19 sacks in 2009, allowing 153 yards per game rushing (4.0 average yards per carry). The numbers declined again in 2010, finishing with just 12 sacks and giving up 208 rushing yards per game (4.8 average yards per game). Those numbers finished last in the ACC and 113th in the country. Overall, the group battled through injuries and midseason schematic changes, but failed to find consistent success. 2011 Outlook: With seven redshirt-freshmen, along with four true freshmen, entering the depth chart this fall, this will be the deepest line Coach Cutcliffe has had at Duke, at least in numbers. With a preponderance of youth and inexperience, the hope is that Coach Petri, who is known as a great teacher, can accelerate the growth of this group. Overall, the unit should have improved size and speed relative to recent years, but significantly less experience. While projected starters Hatcher, Foxx, Sarmiento, and Anunike are expected to play the majority of snaps, they will be frequently rotated with several of the first-year players. Much like the Duke running game, the Blue Devil defensive linemen have to find ways to improve over their 2009 and 2010 numbers. Reports indicate that the talent is there to improve and compete, and now the players will have to go out and execute if Duke hopes to become bowl-eligible in 2011. 2010 Review: The Blue Devils’ defense has seen their leading tackler come from the linebacking corps in seven straight seasons, and that tradition continued in 2010 with Abraham Kromah. Kromah was an unsung hero on the Duke defense, finishing with a team-best 123 tackles, which was good enough for 2nd in the ACC behind BC All-American Luke Kuechly. Even with five of the top six linebackers returning in 2010, freshman Kelby Brown proved to be too good to keep off the field. After burning his redshirt against Alabama, Brown was the biggest surprise of the year on defense, earning freshman All-American honors and leading the country in fumble recoveries per game. Injuries slowed the linebackers as a whole, and Brown saw his breakout season come to an early end with a knee injury against Georgia Tech. Departing seniors Kromah, Damian Thornton, and Adam Banks leave big openings on the depth chart heading into 2011. 2011 Outlook: Though the success of the Duke defense will begin (or end) with the defensive line, the linebackers also present question marks heading into the 2011 season. Kelby Brown is the only returning player with significant starting experience, and he is recovering from season-ending ACL surgery. The newcomers are likely to push Gamble and Rojas for playing time, and that competition should be interesting to watch starting on Monday. If Kyler Brown can replicate some of his brother’s freshman success, or if France, Grier, Helton, or Woodruff can contribute ahead of schedule, then this group again could be a pleasant surprise for the 2011 Blue Devils. 2010 Review: It's hard to say that any position group had a good year among the 2010 Duke defense, but the safeties probably contributed the most to the small success that was had. Daniels, Canty, and Butler all finished in the top 7 in tackles for the 2010 defense. The safeties produced some of the defenses' biggest plays in 2010, and that play-making ability ultimately led the staff to end the season with primarily a 4-2-5 scheme. In a tight fourth quarter at Navy, Matt Daniels forced a key fumble to secure the Duke victory. In a game where the offense struggled against Boston College, August Campbell's school record 95-yard fumble return for a touchdown ignited the Duke team. 2011 Outlook: The deepest position on the Duke defense by far, the success of the 4-2-5 scheme will rely on safeties to become key playmakers. Duke will return all of their safety playmakers from 2010, though they will be without redshirt-freshman Issac Blakeney for academic reasons. Even without Blakeney, this will be the deepest and most experienced group among the Duke defenders. Senior Matt Daniels is poised for an All-ACC campaign, along with fellow senior Lee Butler. Byas, Canty, and Campbell are all capable of significant improvements over their 2010 efforts. If the Duke cornerbacks can provide good coverage, the safeties should find themselves in position to slow oppfisher rushers and make plays all over the field. 2010 Review: Cornerback seemed to be a feast or famine position for the 2010 Blue Devils. Missed coverages, poorly-read throws, and converted third-and-longs plagued the Duke corners all year. 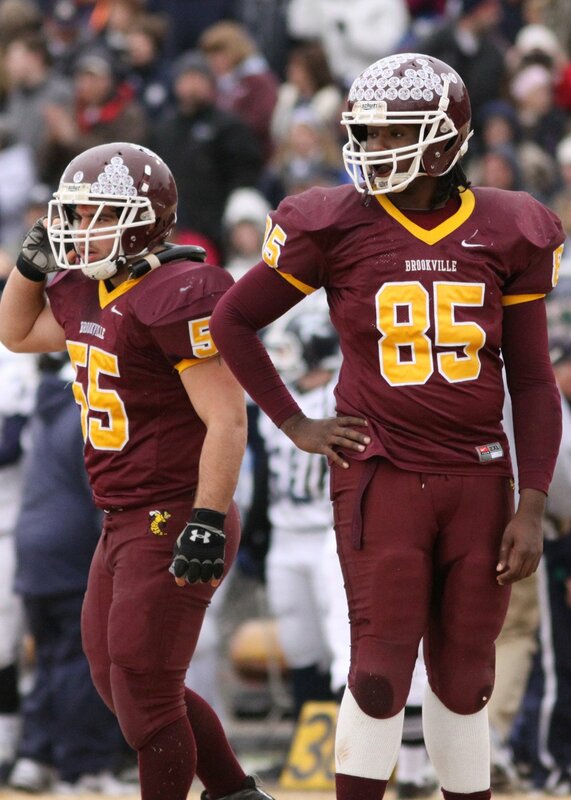 That being said, senior Chris Rwabukamba was the top coverage guy, forcing opponents to look elsewhere. Cockrell and Williams, two of the team's top athletes, but both playing their first year of college defense, struggled mightily. Overall, Duke finished last in the ACC in pass defense. Cockerel was just the second freshman to lead the Blue Devils in interceptions, giving fans a glimpse of his potential coverage ability. 2011 Outlook: This is another group that needs to show significant improvement in 2011 for the Blue Devils to win. The inconsistencies and missed coverages seen in 2010 cannot happen if Duke is going to be able to improve on their ACC-worst pass defense. If the corners are unable to shut down opposing receivers, the Duke safeties will be unable to be aggressive against the run. Cockrell, Williams, Greene and Foster are likely to start the year at the top of the depth chart, but any struggles will give an opportunity for highly-touted freshman Jared Boyd. Collectively, Duke has some of their best athletes at cornerback, and those athletes will have to play with more confidence and poise than 2010. Practice kicks off on Monday! The Blue Devils will practice every day next week, putting on pads for the first time on Friday morning. 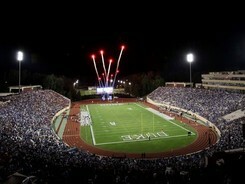 BDN will be your best source for coverage inside Duke's training camp, as the Blue Devils prepare for the 2011 season. WE ARE DUKE. Happy Independence Day, Blue Devil Nation! Even on a holiday weekend, it’s still time for BDN’s Football Friday, a weekly look inside the world of Duke Football. If you enjoy this weekly column, please consider becoming a BDN Premium Member and joining our growing community of Duke Football fans. As we say goodbye to the month of June, it’s time to look back at an eventful month in Duke Football, and look ahead to the 2011 season, which kicks off in just 63 days!!! Of course, it's always football season at Football Friday. Next week kicks off the release of college football’s preseason award lists. What, you thought I was talking about Harry Potter? Oh, please. Starting on Tuesday, the College Football Awards Association will release their preseason award watch lists. While Duke still has a long way to go in regards to earning the respect of the national college football community, there are a few Duke players who should be nominated. On Wednesday, the Biletnikoff (top WR) and Mackey Award (top TE) watch lists will be announced, and Duke’s Conner Vernon, Donovan Varner, and Cooper Helfet are certainly deserving of consideration. As a 2010 semi-finalist, Duke’s Will Snyderwine should be named to the Lou Groza Award watch list on Thursday. Of course, the awards will ultimately be earned on the field, but it’s important for Duke players to receive the preseason recognition they deserve. Head Coach David Cutcliffe announced a few changes to his football staff today. “We are very excited with our recent hires and adjustments to the staff,” Cutcliffe stated. “I have either coached or fostered long term relationships with each of these young people and their families. 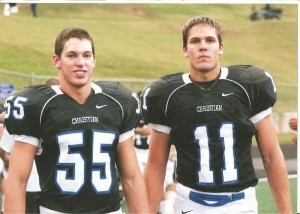 It is great to surround yourself with people you deeply care for and know are winners on and off the field. 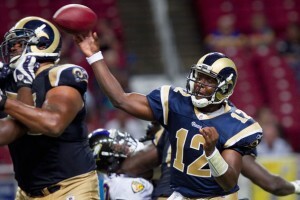 We approach the 2011 season with great enthusiasm." Among the changes, the staff welcomes back former Blue Devil All-American defensive lineman Vince Oghobaase as a staff assistant. John Russell, a former NFL and Wake Forest linebacker, joins the staff as a graduate assistant, and current recruiting assistant Ben Loebner has been promoted to a graduate assistant. Former Duke All-ACC cornerback Leon Wright has been named a Defensive Operations assistant and Jomar Wright switches his title from graduate assistant to recruiting assistant. 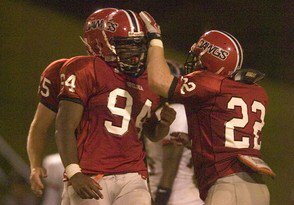 Marcus Johnson, a former NFL and All-SEC offensive lineman, joins the Duke strength and conditioning staff. Welcome to all the new coaches, and good luck this fall! 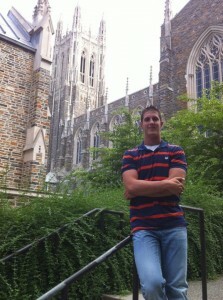 Duke entered the month of June with four verbal commitments in the class of 2012: TE Erich Schneider, DE Allen Jackson, SAF Dwayne Norman, and LB Deion Williams. We now leave the month of June with twelve verbal commitments, capped off by a big week, in which the Blue Devils added their QB of the future in Thomas Sirk and one of the top TEs in the state in Dan Beilinson. BDN members were the first to hear about these commitments, and we’ll continue to bring you the best Duke Football recruiting coverage around. With only a handful of scholarships remaining in the class of 2012, Duke is hoping to land a few impact players over the next several weeks. As we’ve mentioned earlier, the Blue Devils will need to add a RB in this class, and Tarboro’s Todd Gurley, along with Charlotte’s Jela Duncan, remain the coaching staff’s top two priorities. Gurley recently won a national championship in track and will represent the US in France later this summer. The Duke staff continues to work hard on the recruiting trail, hoping to cap off the class of 2012 with a program-changer or two like WR Drae Bowles or DT Korren Kirven. A quick look at the 2011 Duke roster shows that Duke will graduate 18 players this season. Duke is certainly hopeful that the group of redshirt-juniors will stay with the program for their final year of eligibility in 2012, meaning that scholarships are getting tight in the class of 2012. For those remaining prospects considering Duke offers, the smart move would be to act quickly. With the NFL lockout dragging on, Duke has been fortunate to have former QB Thad Lewis around campus for most of the summer. BDN caught up with the Blue Devil record-holder earlier this summer, and GoDuke featured an interview earlier this week. Thad has big expectations for Sean Renfree and the Blue Devils in 2011, and after leading Duke to 5 wins in his senior year, he knows what it takes to win in the ACC. Overall, there is tremendous optimism around the Duke Football program, and many fans (with a few outspoken exceptions) have high hopes for the 2011 season. Starting next week, BDN will take an in-depth look at each of Duke’s 2011 opponents, beginning with the Richmond Spiders. We’re fortunate to have been able to team up with some great writers from other schools to give us an inside look at Duke’s competition. In general, though, we know Duke faces a tough schedule this fall, and after a 3-win season in 2010, why all the optimism? Before we start analyzing Duke's opponents, let’s take a brief look at some 2010 statistics, and a 2011 position group assessment. In 2010, Duke lost 4 games by 6 points or less. Duke had 43 trips to the redzone in 2010, but found the end zone only 22 times, barely 50% of the time. 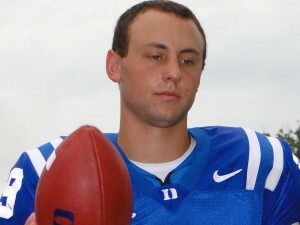 Luckily, pre-season All-ACC kicker Will Snyderwine was able to add 16 field goals to help keep the Blue Devils in games. The 3rd quarter was unkind to the 2010 Blue Devils. Duke either had a lead, or were within 1 score at halftime in 8 of their 12 games, but only won 3 games. Finishing games was also difficult for the 2010 Duke team, as they had a lead or were within 1 score entering the 4th quarter in 6 of their 12 games, but again, only won 3 games. Turnover margin may have been the key statistic to Duke’s 2010 season, but there is reason for optimism. Over the first 7 games, Duke had a turnover margin of -12 (21 to 9), but a turnover margin of +1 in their final 5 games (7 to 8). The much-maligned Duke defense had difficult pressuring the quarterback all season, but again, there was subtle improvement. With just 4 sacks through their first 6 games, Duke finished with 8 sacks in their final 6 games. Five of Duke’s final six opponents were bowl teams. QB: Duke returns their top two quarterbacks in 2011 in starting redshirt-junior Sean Renfree and sophomore backup Brandon Connette. With a year of starting experience under his belt, the expectations are sky-high for Renfree, who Coach Cutcliffe described as having a “great” spring. Anthony Boone will add depth to the position after redshirting in 2010. RB: Duke returns all five of their running backs from 2010, led by junior Desmond Scott, who has paced the Blue Devils in rushing as both a freshman and a sophomore. Duke improved their rushing yards by 46.5 yards per game from 2009 to 2010, and scored 13 more touchdowns on the ground. With all of their top rushers and blockers returning, there is no reason not to expect similar improvement in 2011. WR: Duke loses Austin Kelly, who had been a solid receiver for the program in his four years in Durham, but brings back All-ACC receivers Donovan Varner and Conner Vernon. Sophomore Brandon Braxton, after catching 14 passes in 2010, is expected to see an increased role as he fills in for Kelly. Tyree Watkins and Corey Gattis are two more underclassmen expected to fill out the depth chart at receiver in 2011. TE: By the end of the 2011 season, junior college transfer Cooper Helfet established himself as one of Renfree’s favorite targets, and one of the top tight ends in the ACC. After a slow start and a nagging ankle injury, Helfet finished with at least 4 catches in his final 5 games, including a 122-yard game against Virginia. Redshirt-senior Danny Parker rejoins the tight end corps after the graduation of Brett Huffman and Brandon King. Redshirt-freshman Braxton Deaver is expected to compete for a starting spot this fall, and true freshman David Reeves is one of the top prospects in Duke’s class of 2011. 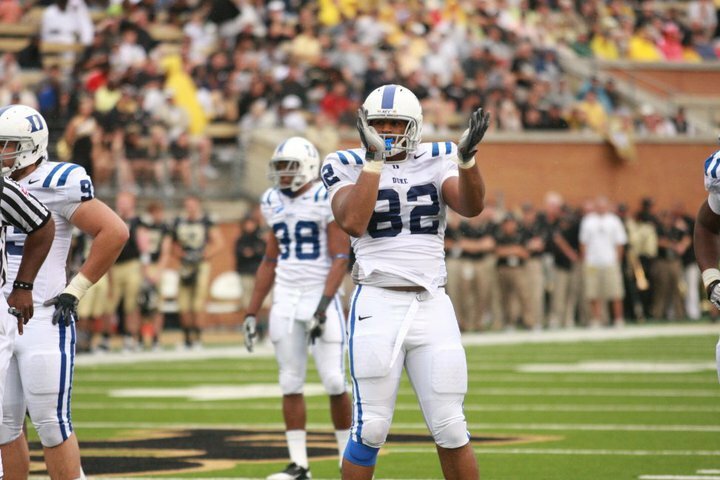 OL: Duke will return four of five starters in 2011, the lone loss being center Bryan Morgan. With Brian Moore sliding over to center from right guard, Duke’s entire offensive line should weigh in at 275 pounds or greater; redshirt-freshman Takoby Cofield and Laken Tomlinson both eclipse 300 pounds and are expected to compete for snaps. DL: This position is the big question mark on the 2011 Duke team, but there are plenty of reasons to expect improvement over 2010. Despite losing starters Patrick Egboh and Wes Oglesby, Duke will add seven (7!) redshirt-freshmen to the depth chart along the defensive line in 2011. The Blue Devils return redshirt-senior Charlie Hatcher, along with redshirt-junior Kenny Anunike, redshirt-sophomore Justin Foxx, and redshirt-sophomore Sydney Sarmiento. This spring, however, it was the redshirt-freshmen who earned the highest accolades from the Duke coaching staff, led by DE Jordan DeWalt-Ondijo and DT Jamal Bruce. With the coaching of Rick Petri, athleticism of the young redshirt-freshmen, and overall increased depth, this is a unit that should improve week-to-week in 2011 and give the Blue Devils a chance to win ball games. LB: While most fans are concerned about the Blue Devils’ defensive line, the linebackers are another area that needs to improve from 2010, but has significant losses. Leading tackler Abraham Kromah has graduated along with Damian Thornton and Adam Banks. Standout freshman Kelby Brown returns after knee surgery, but is expected to be a full participant in fall camp. Duke has to hope that junior Austin Gamble and redshirt-sophomore Kevin Rojas, who have shown flashes of potential in the past, are ready for a breakout season in 2011. Coach Jim Collins has developed some great linebackers at Duke, and he will need to work his magic this year, as outside of those top three, the depth chart will be filled with first-year players in redshirt-freshman C.J. France, freshman Kyler Brown, freshman Britton Grier, freshman David Helton, and freshman Jon Woodruff. CB: The loss of senior Chris Rwabukamba will be sorely missed within the Duke secondary, but the coaching staff believes the Blue Devils have several athletes ready to step up at cornerback, led by redshirt-sophomore Ross Cockrell. Despite an inconsistent freshman year as a starter, Cockrell finished 6th on the team with 60 tackles, and led the Blue Devils with 3 interceptions and was 2nd with 7 pass break-ups. Cockrell should take a step forward, as will senior Johnny Williams, in his second full year at cornerback. Zach Greene, Tony Foster, and Lex Butler will fill out the depth chart, but they may be pushed by freshmen Jared Boyd and Tim Burton. SAF: The strongest positon group on Duke’s defense is safety, and the new 4-2-5 defense is designed to exploit that strength. Senior Matt Daniels should be poised for an All-ACC caliber year alongside fellow senior Lee Butler. The Duke staff has high expectations for redshirt-sophomore August Campbell and redshirt-freshman Issac Blakeney. ST: Duke’s special teams has developed into a strength in recent years, and with Will Snyderwine handling the placekicking, it should remain a strength in 2011. Freshman Will Monday is expected to come in and compete with senior Alex King for the starting punter job, and it should be a good competition to watch in August. Man, I thought it was going to be a short column this week. That never works out. If you’ve missed any of our recruiting coverage over the past month, be sure to catch up, as it is sure to be a sprint to the finish here in July. The entire class of 2011 will be on campus starting this weekend, and on behalf of all of us in the Blue Devil Nation, welcome to Duke! We have big expectations for this class, and we know they’ll have great success in Durham. Some upcoming highlights to note – we will kickoff our 2011 previews next week with Richmond and Stanford, so be sure to check back for those. We’ll also run an in-depth interview with one of Duke’s top running back prospects this weekend, so check back in between fireworks shows. Be sure to join our Facebook group and follow us on Twitter. Have a great holiday weekend! Until next week, WE ARE DUKE. After finishing last in the ACC in sacks and rushing defense in 2010, Duke hopes to upgrade the defensive front in 2011 with a group of young linemen. While the fate of the 2011 Blue Devil defense rests with Coach Knowles and the players already on campus, the Duke staff continues to work the recruiting trail in search of future stars. Duke was among the first schools to offer a scholarship to a talented run-stopper from the state of Alabama. Torey Agee is a 6’4” 247 pound defensive end from Opelika, AL. The son of former Auburn fullback Tommie Agee, Torey helped Opelika to the playoffs as a junior and has impressed scouts on the spring combine circuit with his speed and technique. The Blue Devils are hoping to get Torey on campus this summer for a visit. Highlights from his junior year can be viewed here. I think my biggest strength is my ability to stop the run. I’m pretty explosive off the ball, so that’s my strong points. Big thing I’m working on is pass rush, finishing pass rush, stuff like that. This season I plan on leading my team in sacks and I think we have a good enough team to make it to state this year, so we’ll see how it all plays out. Most important thing for me when I’m deciding on college is academics, because that’s really big for me and my family. Any school that’s strong academically, that’s at the top of my list. BDN: You stressed the importance of academics; is there a specific field that you’re interested in studying? Right now I think my major is going to be computer engineering, but it could change at any time. BDN: What are the other schools that you’ve been in contact with the most so far? I’m getting a lot of interest from Auburn right now. Auburn, Georgia Tech, and South Alabama [USA]. I’ve visited USA, Auburn, Georgia Tech…that’s about it. BDN: Do you have any other visits planned? I might be taking a trip up to Duke in the summer, but other than that, none yet. BDN: You said that you’ve been getting a lot of interest from Auburn. Being close to there and with your father’s history there, is that a program you’ve grown up following closely? Oh yeah, you know growing up in my house I was always a big Auburn fan. BDN: Are there any schools that you feel you have a good relationship with at this point in the recruiting process? Yeah, USA, I think I have a pretty good relationship with the coaches down there, and Georgia Tech. I plan on taking as long as possible to think this whole thing through, because it’s a huge decision and I don’t want to rush into anything. I broke my school’s power clean record. BDN: That’s great. Thanks a lot, Torey, and best of luck to you. Same to you, thank you.